Since I started working in the meetings and events industry, I have been fascinated with the trade show industry, specifically with exhibit displays. 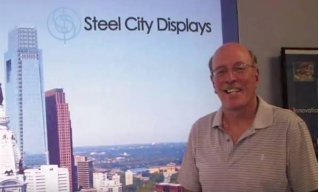 This week, I interviewed Bob Heck, a 30-year industry veteran and owner & CEO of Steel City Displays. Bob talked with me about his company, the trade show industry, and shared excellent tips on how to increase visibility at your next show while saving money for your company. What advice would you give to someone when it comes to renting vs. buying a display? I think that anyone doing an event for the first time should rent, especially if it’s a large event. Anyone can sign up for a trade show and pay for a booth, but is it going to be worth the investment? If this is your first event, you first want to see if this is a good event for your company. For example, are people stopping at your booth? Are you getting leads? It also gives you a chance to see what the competition is doing and see where your company stands. Maybe your company is small and you need a bigger presence next year, then, that may give you an idea for the following year. By renting you have the flexibility of changing and updating your presence year after year. It’s also a good option to determine if the event is a good fit for you. Does renting limit your display options? Not at all. On my website www.steelcitydisplays.com we have hundreds of different layouts. You can rent so many different types of booths depending on your space and onsite needs. Maybe you need a display for a conference room, or work stations, or maybe you do a lot of demos, for example. There are multiple options to choose from. For your first show you could go with a square booth, next year it may be a round booth, plus you can always change or upgrade your graphics. In our case, we hold on to the graphics for our clients because it’s a big investment. If they come back the next year and want to rent again, then, they are only renting the hardware and we use the same graphics, which many clients do because it is more cost efficient. 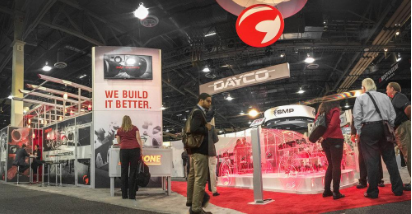 When looking for the right vendor to build a trade show display, what are the main qualities a top-notch vendor should have? There should be a lot of questions to get down to what the client really wants. If they don’t ask questions like: who is setting it up, who is coming to the show, what is your company trying to accomplish at the show? Then, you should think twice before hiring that company. Also, if a budget is given, they should honor that budget. I know some clients may be hesitant to reveal their budget, but there is nothing to gain by hiding this information. You don’t have to spend your whole budget. I personally appreciate it when a client comes to me with a clear budget. For instance, if a client comes to me with a $10,000 budget, it doesn’t mean I will sell the display for $10,000. 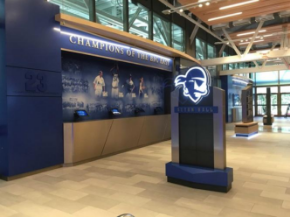 We may design something for $7,500 and say, “but if you want the graphics to be backlit you are at $9,200”, and then it will be up to them to approve it or not. You do have to consult. Buying a display is not similar to buying a printer, or office equipment. It’s something that will reflect your business. Another big question is who is setting it up? If they are going to be personally in charge of it, and attend the show, are they handy? That opens up some options because they may take the time to assemble and it will look really cool. On the other side, you may have 3 reps that hate going to shows, and in that case, you will need a one piece display, that the only thing they could do wrong is set it up upside down. We deal with that all time. 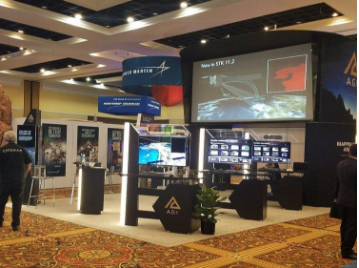 You can have a real cool looking booth that packs down real small, but they can be really complex to put together, even 10×10 displays. So, it is important to know who will be handling it, or to find out if the company may be willing to invest in a couple labor hours at a show to have someone set it up for them. Those are the questions I would ask for even a 10’x10’ booth display. On the client’s side, what questions should they ask when approaching a display vendor for the first time? If there are graphics involved, they should ask if there is a proofing process. Will they see a PDF proof or actual samples? For many clients their prime color is very critical. You don’t want to show up and have the wrong red on your booth, so the exhibit company will not proceed without the client signing off. If the graphics are really important, you need to have a proofing process. 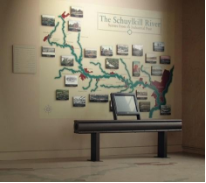 Another question is whether or not the exhibit house provides a timeline and sticks to the timeline. This may mean following up with the client because everyone gets busy. We deal with this all the time. The trade show date is a drop dead date, it’s not a back order “Oh, your computer is not here today it will be in next week.” At trade shows you can’t do that. So, it’s important for the display company to provide a production timeline to their client. 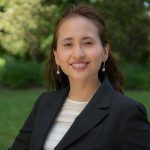 They should provide a clear list all the deadlines, so that the client can coordinate with their graphic and sales people on what they want to do in a timely matter. Otherwise, it may get late and they may incur rush charges, and those are the most unnecessary things in the world. Also, along those lines, they should ask if they are a full service house. Do they order the electric, labor and carpet? Will they make recommendations on how to do that? It’s up to the client to find out if maybe for an extra 25% per show everything is handled for them and maybe that’s better because they won’t have to spend time filling out long forms and permits prior to the event. 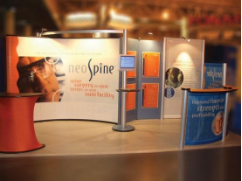 What are the basic elements that every trade show display should include? Your logo should be prominent in some way. It doesn’t have to be big, letter wise, but it has to be prominent so that you immediately know who they are. It can be done through tri-dimensional lettering, backlighting, branded cabinets, etc. It’s funny how sometimes you see a beautiful booth and you have no idea who they are or what they do. The other thing we stress is not a lot of text. Rather, just simple information, taglines, and good graphics. If you want to look like a million bucks, invest in a couple of lights over the booth, not one light, get three lights and your booth will pop compared to the guy next to you. We often have to convince our clients to limit the text on their display. There are new technologies nowadays that can help you save some trees, and still send handouts about your company to potential leads, but digitally. What is the worst scenario you have witnessed in all these years? Some show decorators have extensive exhibitor guides that that include instructions of what you can and cannot do. There have been people that have not read the literature and have actually bought booths that were too tall for the part of the exhibit hall they were in. At one show, we had a 16 foot high booth and the group next to us had an island booth that was 16 feet high as well. However, they were under a mezzanine that was only 12 feet high. They actually had to cut off the top of the booth, and it looked really bad, even with the banner they tried to put up as a desperate attempt to cover it up. That’s why it’s really important to read the exhibitor guide and pay attention to the details. Bob, I understand you have been working alongside your wife, Barbara, for over 30 years. What’s it like to work with her and what are your secrets for balancing a successful business and a happy marriage? We are very good about not bringing the job home. We do a lot of things together, we play tennis, we hike, we bird watch. Barbara also has a lot of activities she likes to do in her free time. Most importantly, we try to keep the business out of it. We are Yin and Yang. I get excited, raise my voice, and braise around, and Barb is a very calm person, she never loses her temper, speaks very calmly and calms me down. At the same time, she thinks I am good at making decisions while she is usually a little hesitant at taking the first step. Truth be told is that when push comes to shove she can do anything. She is very talented. Plus, she also handles all of the domestic things, which frees me up and allows me to stay a little later in the office when it gets real busy. I couldn’t have a better partner in life than Barb. Is there something specific about your job that you like the most? Absolutely, and it’s the reason I am still doing it: every job is different. We don’t do the same thing every time. Every client, every design, and every challenge we encounter is different. So there is great creativity both in the graphic and construction design. Nobody looks the same. Sure, there is the portable booth that essentially is the same structure but the graphics are always different, and how to make it work when we design the graphic is always an exciting process. The other part of it, when you have a long-term client, is that you end up developing a strong relationship and they become long-term partners. I have a couple of clients that have been with me for over 20 years, and I really cherish those relationships. 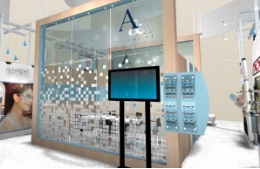 What are some trends – design, technology, and/or material wise in the trade show display industry? 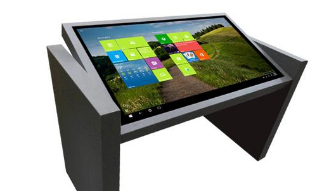 From a technology standpoint, the multitouch tables that share digital information about the company and allow digital interaction with attendees are being used a lot. It helps companies to generate leads and obtain immediate feedback from attendees. From a materials standpoint, we’ve seen an increase in the use of light wave fabric and aluminum. The shapes are getting really cool looking. It’s complex but there are some beautiful hanging signs that are phenomenal and have LED lighting built into them. The LED lighting has been a great improvement for the whole industry. They don’t get hot, they’re small, you can bend them, and you can wrap them around things. Displays that used to include neon lights can now be done with LED lights. Fabric and materials are becoming lighter, more environmentally friendly, and are less expensive to ship. What would you consider to be your biggest accomplishment in the display industry? I have been working with the division of Pepsi for over 20 years. We tend to have long-term clients and we are very proud of all the long-term relationship we have developed. What we also like about our business is that we are always working on new and innovative projects for our clients, like museums, for example. We may start with a trade show booth, and then the same company will call us to do their lobby, and then will ask us to help them with a roadshow. We like new projects and the challenges that come with it. It increases our capabilities to have even more innovative ideas for trade shows.